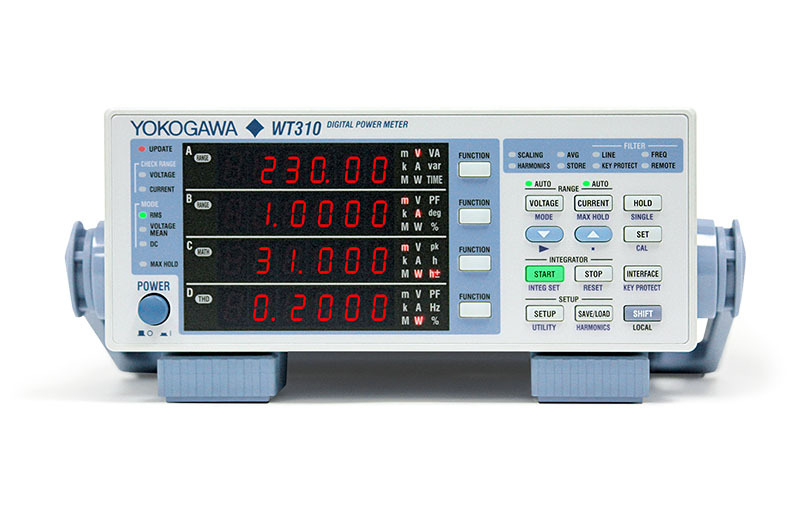 The WT300 Series Digital Power Meters are the 5th generation of Yokogawa’s highly recognized high performance low cost product group. They offer updated and innovative measurement functions which will benefit the engineer with basic electrical power measurements. They are the ideal measurement solution for doing Stand-by-Power measurements, Energy Star®, and IEC62301 testing, Battery Charger and other low level power measurements. What's New: The WT310 is an Accepted Device by Standard Performance Evaluation Corporation (SPEC) used for Power Efficiency Benchmarking!